Even though she had offered, and even though he had said yes, Philomena was still a little surprised when Rainhart reminded her the next morning about their tour of the city. "I mentioned it to Holle," he said. "I hope that&apos;s all right." "Of course it is," said Philomena, thinking, terrific, now they will outnumber me. "Isn&apos;t she pasted to Tancred&apos;s side, though?" Rainhart grimaced. "She said, and I quote, &apos;I suppose Tancred can be trusted not to make any stupid concessions for one morning&apos;." "Poor Tancred." Philomena tched. "He has a head for numbers and cares for people, which will make him a very good High King, but the barons will cheat him blind." "He will have you and Holle watching out for him." Rainhart smiled. "What king could ask for more?" "You should practice your lingua Jovan," said Philomena, switching languages, "if you&apos;re going to live in Monsilys." "Ah, yes. My father made sure Milos had me taught, although lingua Jovan is not in high demand in the marches." "Well, it&apos;s fortunate he did," said Philomena. "Is Holle meeting us somewhere?" "Let me get my cloak and I will meet you there." Philomena went to find her brother Luca, but he was occupied in fruitlessly trying to convince Argo give up a ball the dog had fetched, and uninterested in a tour of the town. Half an hour later, Philomena, Rainhart and Holle left the palace and strolled down the long road into the upper town, followed at a discreet distance by four guards. The upper town featured wide avenues lined by houses owned by the wealthy first and second tiers of the Jovani nobility. Philomena pointed to a burned-down shell. "Luca says the palace staff all think that house is haunted by Lady Ephyra Mereius, who was executed after the rebellion and has lost her way to the place beyond death." "How delightfully gruesome," said Holle, who had been wandering along behind them, not really paying attention. "The rebellion the Empress was talking about yesterday?" said Rainhart. Philomena nodded. "You&apos;ve switched back to Deusetatsi. Did you realise?" "Rats," said Rainhart, in lingua Jovan. He shook his head. "What became of the ringleader of the rebels?" he said. "Looking for inspiration, brother?" said Holle. "For Valdon, I think boiling in oil will be appropriate." "The Fair Prince occupied Monsilys for several weeks." 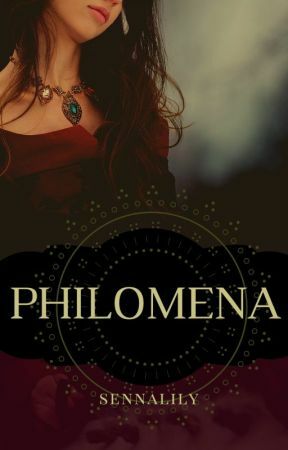 Philomena turned and kept walking. Rainhart and Holle kept pace. 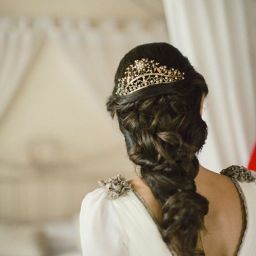 "So when he was captured, the Empress gave him to the townsfolk. They ripped him apart. In one of his letters, Luca told me that pieces of him were turning up for weeks, nailed to people&apos;s doors, floating down the gutters, hung over gates..."
"I wish I had known these things about your family before I met you," said Rainhart. Philomena flicked him a quick look. "You might have been more wary?" "More, ah..." He switched to Deusetatsi, "respectful." "Rainhart, you should be respectful to everyone, regardless of who their family is." Holle shook her head. "I expect better of you." Rainhart wheeled and planted himself in her path, arms crossed. Philomena leaned around him and fixed Holle with a stare. "Two words," she said. " &apos;Lady Mop&apos;." "I was under duress!" Holle protested as Rainhart and Philomena turned as one and marched away down the street. They walked further along the avenue, then turned onto a winding, cobbled street that descended steeply towards the lower town. Philomena pointed out the respectable jewellers, clothiers and silversmiths she knew, and gave a wave in the direction of the Monsilys pleasure district.